Exclusive luxury in Ibiza, totally minimalist, with premium materials. 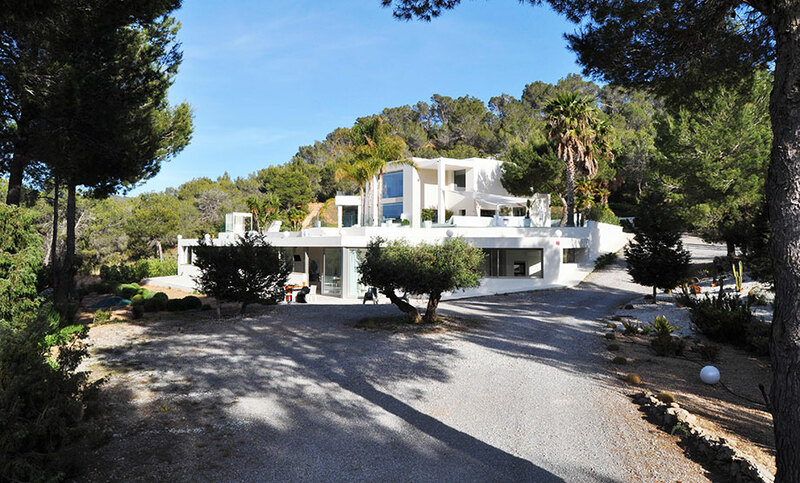 Offers a decorating dream, a home automation lighting and unique on the island of Ibiza, where you can enjoy and relax in a totally private. Interior of the Villa is very selected and searched to the last retail, in luxury, classic furniture design, glamour and comfort, making it certainly very comfortable and relaxing, as the predominant color white. Large outdoor terrace with an área of 900m2 entirely of limestone, to walk barefoot without any problems and enjoy as you like of this spectacular terrace, to be located within a completely private estate. It has two floors, on the top floor is the master suite of this magnificente villa minimalista, with 80m2 with a large dressing room and spectacular views, 2 terraces, jacuzzi bath with 2×2 30m2 of the Italian seaside TEUCO. Floor, 3 bedrooms all with encuite, large living room, kitchen and toilet. It has a home all on one floor with 4 rooms with attached bath, decorated in a minimalista and neo-classical fusión, we promise you, dream and feel at different times and we are living. With a large living room, kitchen, gym and spa with sauna, where you can enjoy masaje área – relax and training área. Air Conditioning / Fitness Room / Hot Tub / Internet Access / Pool / Security System Cleaning / Maid Services / Baby Equipment.